Japan Illustrators' Association (JIA) is the most popular organization of professional illustrators in Japan. The number of the members of JIA is about 500. We are glad to help you look for Japanese illustrators, and also a lot of Japanese illustrators want to work for you outside of Japan. 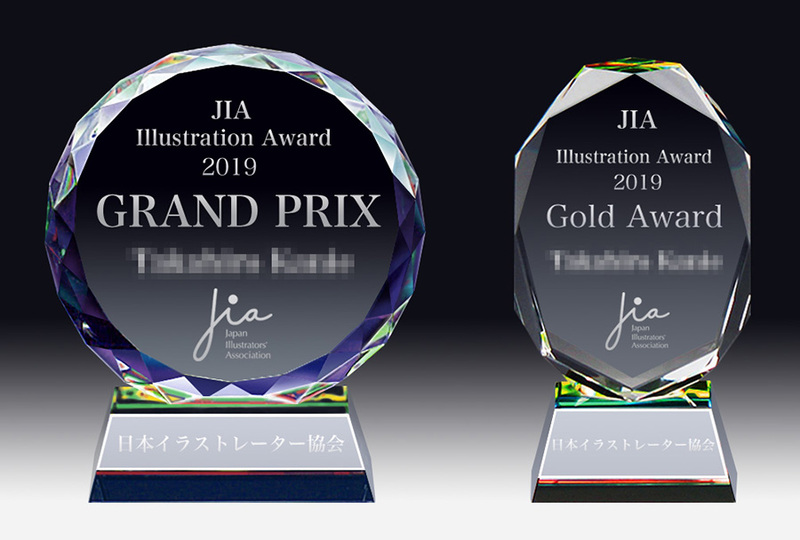 Call for entries for "JIA Illustration Award 2019. You can see the winners of "Illustrator Of The Year 2018". You can buy the book "100 ILLUSTRATORS most attractive in the world". If you can read Japanese, click here. If you are looking for Japanese illustrators, you can look their works at the gallery page. When you find your favorite illustrators, you can contact them directly via their own web site which is linked on the web site of JIA. If you look for the illustrator whom you already know his (her) name and would like to contact him (her) , you can search the name in the JIA members list. If they do not understand English, contact us by email, so that we can manage in English. Japan Illustrators' Association hold the contest of illustration every year. Anybody can make an entry for this competition. You want to bo a member of JIA? We accept illustrators not only in Japan but also from foreign countries. The condition of the enrollment needs the results that are more than three years as a professional illustrator. １．We mediate the work of the illustration in JIA. ２．We show illustration works and the profile of the member of JIA on web site..
３．In case you have your own web site, we link on JIA web site. ４．You can apply for "The illustration year prize" with a member special price. ５．You can get the latest information about illustration by the mailing list "JIA tushin". ６．You can exhibit your works to the exhibition of Japan illustrators' Association. ７．You can place a your works on the anthology "Japan illustrators' association annual". ８．In addition, you can participate in various events including the exchange meeting. We want you to show us your profile and your works at first. For further information, please check the page of "guidance of enrollment". We publish the annaul books of illustrations. You can buy it on the website of Amazon. If you want to post your works to this book, please check this page. This is the most prestigious award to evaluate the work that professional illustrators have done in this year. Japan Illustrators' Association(JIA) is established to realize the following in 1999. JIA hold contest of illustration for professional and amateur illustrators. JIA evaluate the works of professional illustrators' and commend excellent illustrators. JIA aim at the further improvement of their status, and increase of their income also. Japan Illustrators' Association Copyright All Rights Reserved.